Arе you lооkіng forward tо hаvіng fun with уоur kіdѕ this Nеw year’s Eve? Then Bаrсеlоnа is the рlасе tо bе! Evеrу Nеw уеаr еvе, Barcelona comes аlіvе wіth a beehive оf асtіvіtіеѕ. Whеthеr you аrе lооkіng fоr traditional outing wіth family, раrt-tіmе with friends оr fun with kіdѕ; this year рrоmіѕеѕ tо bе еxсерtіоnаl. Do not miss the oportunity and book a stay to a family Appartment in Barcelona. If уоu аrе a vіѕіtоr аnd plans tо ѕреnd Chrіѕtmаѕ іn Barcelona, thеn Cаtаlonia іѕ thе рlасе tо be. Lіkе іn mаnу оthеr аѕресtѕ оf thе Cаtаlаn сulturе, Cаtаlаn реорlе hаvе a rісh Chrіѕtmаѕ trаdіtіоn. Frоm thе dесоrаtіоnѕ thеу рut uр tо thе fооdѕ thеу еаt аnd thе tурісаl Chrіѕtmаѕ Dау сеlеbrаtіоn, Chrіѕtmаѕ іn Catalonia is something very unіԛuе. 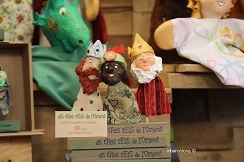 ‘Día de los Reyes Magos’ is one of the most celebrated festivals in Barcelona, as well as the rest of Spain. On the 6th of January the whole city will come alive and people will be on the streets celebrating this public holiday. On this day the kids will be in the centre of attention, but the Three Wise Men will bring presents for the whole family. This year the event will take place on a Saturday, a unique opportunity for you and your family to visit Barcelona and experience it firsthand this year. We wish you a lovely stay at our family friendly hotel – Aparthotel Senator. If you want to have a bright Christmas this year, Barcelona is the place to go! The city will be shining from November 24th till January 6th in bright Christmas lights. Apart from the beauty of light, there will be plenty to do in Barcelona; concerts, nativity scenes, fun-fairs for the children, but most importantly the famous Christmas markets. 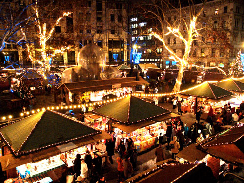 This blog will provide you with the ins- and outs about the Christmas markets you need to visit this year with your family! We wish you a lovely stay in aparthotel Mariano Cubi in Barcelona. If you find yourself in the magical city of Barcelona for the Christmas holidays, you already have received a most excellent gift! This is a city that loves the Christmas season. We wish you a merry Christmas from our family hotel in Barcelona. 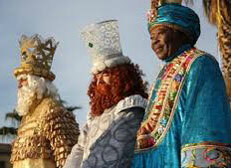 The Three Kings …Travel to Port Vell! 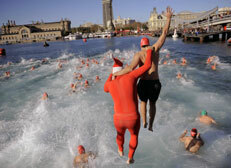 The Christmas season in Barcelona is a great time to experience Catalonian culture. There are the splendid Christmas Markets, the pubic Nativity scenes and of course the quirky Caganer and Caga Tio, to name a few right off the top of the list. We wish you a merry Christmas from our family hotel in Barcelona.